Mercy Physician Network (MPN) has an excellent full time employment opportunity for a Board Certified or Board Eligible Family Medicine or Internal Medicine physician to join a Primary Care practice located in Philadelphia, Pennsylvania. The selected physician will join two physicians, a nurse practitioner and a physician assistant in an established community primary care practice based in a recently renovated office space. The practice has full medical and administrative support including on site laboratory services. The schedule for the practice is Monday through Friday with shared call rotation. This is an excellent opportunity for a Family Medicine or Internal Medicine physician to join an excellent practice within Mercy Physician Network. Mercy Physician Network (MPN) has more than 40 office locations in the Philadelphia Region to serve patients. With over 80 physicians, most of which are board-certified in their fields, have the knowledge and expertise to deal with a multitude of health-related issues in a coordinated fashion. Mercy Physician Network is comprised of primary care practices in addition to nearly 20 specialties and subspecialties. 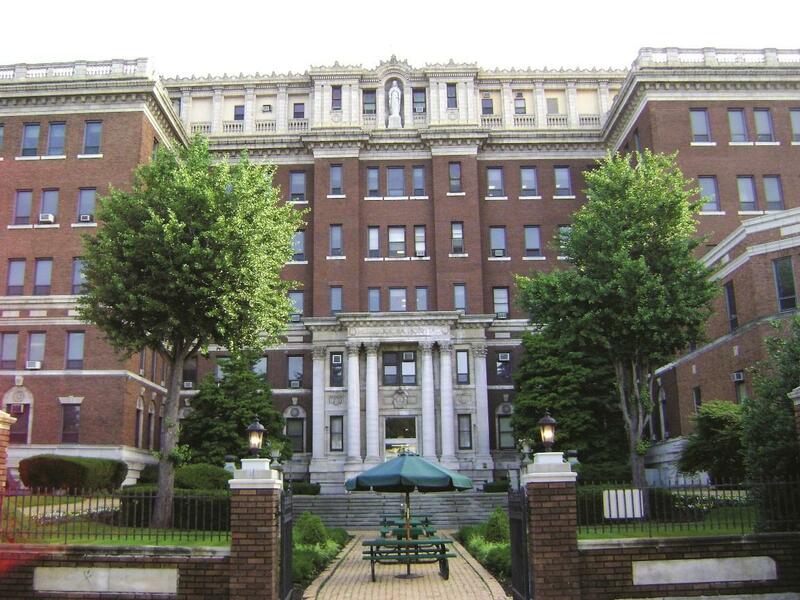 Nazareth Hospital, established in 1940 by the Sisters of the Holy Family of Nazareth, serves Northeast Philadelphia with 205 acute beds and 28 skilled nursing beds. The hospital had 8,136 admissions, 51,177 visits to our Emergency Department, and 135,107 outpatient visits in 2015. An affiliate of St. Mary Heart and Vascular Care, Nazareth is nationally accredited by Corazon, Inc. to provide life-saving emergency angioplasty for patients suffering heart attacks and has been accredited as a Chest Pain Center with PCI by the Society for Cardiovascular Patient Care. The Hospital also offers heart diagnostics, a state-of-the-art cath lab, a Vein Center and the Center for Wound Healing and Hyperbaric Medicine. Nazareth received The Joint Commission Gold Seal of Approval and national recertifications for its congestive heart failure program, as well as the American Heart Association’s Get With The Guidelines Gold Award for Heart Failure Care. A long-time leader in stroke care, Nazareth is a nationally certified Primary Stroke Center, and received Healthgrades’ five-star ratings for stroke 11 years in a row. Nazareth is the six-time recipient of Healthgrades’ Stroke Care Excellence Award. The hospital has also earned multiple Get With The Guidelines Performance Awards from the American Stroke Association. The Joint Commission has three times named Nazareth a Top Performer on Key Quality Measures®. The distinction recognizes exemplary performance in using evidence-based clinical processes that are shown to improve care. Nazareth continues to build on its reputation for clinical excellence in orthopedic care, again earning national recertification for hip and knee replacement from The Joint Commission. Nazareth is an Independence Blue Cross-designated Blue Distinction+ Center for Knee and Hip Replacement. Nazareth’s Balance Program is designed to prevent falls and improve quality of life for people with conditions that place them at risk. Nazareth offers PET/CT for cancer diagnosis, staging and treatment, in addition to advanced diagnostic and treatment technologies for cancer, which include digital mammography and image-guided radiation therapy. Nazareth is an affiliate of Jefferson’s Sidney Kimmel Cancer Center. In 2014, the hospital opened a new infusion suite to provide patients with a serene, comforting environment for receiving chemotherapy and other infusion treatments. Mercy Philadelphia Hospital has been caring for the communities in West and Southwest Philadelphia for 98 years. Founded by the Sisters of Mercy, its mission is characterized by a dedication to the poor and disadvantaged and by providing compassionate care to all patients. In 2015, Mercy Philadelphia Hospital had 8,452 admissions, 46,230 visits in the Emergency Department, and 80,524 outpatient registrations. The hospital has 157 licensed beds. Clinical excellence and patient safety are top priorities at Mercy Philadelphia Hospital, as reflected by its ‘A’ score for Patient Safety from the Leapfrog group. The hospital jointly earned the Top Performer on Key Quality Measures® designation by the Joint Commission along with Mercy Fitzgerald Hospital. Other quality recognitions include the designation of a Primary Stroke Center by the Joint Commission, a Lung Cancer Screening Center and a Breast Imaging Center of Excellence by the American College of Radiology, as well as accolades including Get with the Guidelines Gold Plus Achievement for Stroke Care and Get with the Guidelines Gold Award for Heart Failure. Mercy Philadelphia Hospital was once again voted as the “Most Happening Hospital in Philadelphia” by readers of the Philly Happening List. Comprehensive services at Mercy Philadelphia Hospital include bariatrics, emergency, surgical, cardiac, critical care, oncology, wound care and hyperbarics, gastroenterology, behavioral health, physical and occupational rehabilitation, vascular, and interventional and diagnostic radiology. The Mercy Cancer Care program is accredited by The American College of Surgeons Commission on Cancer, and is affiliated with the Sidney Kimmel Cancer Network at Jefferson. In addition, affiliations with Penn Medicine Heart and Vascular Network and the Jefferson Neuroscience Network bring world-class cardiovascular and neurosurgical services, respectively, to the communities served by the hospital. Through countless community outreach, such as free screenings, the popular and free Dine with the Docs series, support groups and education, as well as alliances with churches, community organizations and leaders, the hospital impacts the lives of thousands of residents annually. Mercy Fitzgerald Hospital located in Darby, PA is a 204-bed acute care community teaching hospital that has been serving a large number of economically fragile neighborhoods in Delaware County and Southwest Philadelphia for 83 years. In 2015, the hospital admitted 8,834 patients, cared for 41,855 people in the Emergency Department, and saw 166,028 outpatient registrations. Mercy Fitzgerald offers a full array of acute care services and health programs to promote the physical and spiritual well-being of its patients and community. A hospital ranked for high-quality clinical outcomes, Mercy Fitzgerald was named a Top Performer on Key Quality Measures® by the Joint Commission. It was voted as “Best Hospital of Delaware County” by the readers of the Delaware County Daily Times in 2015. Mercy Fitzgerald is also designated as a Primary Stroke Center by the Joint Commission, is an accredited Chest Pain Center with PCI, is designated as a Blue Distinction Center for Cardiac Care and a Blue Distinction Center for Bariatric Surgery by Independence Blue Cross, is a Bariatric Surgery Center of Excellence by the American Society for Bariatric and Metabolic Surgery and is an Aetna Institute of Quality for Bariatric Surgery. It is consistently a recipient of the Get With The Guidelines Gold Award for Heart Failure Care and the Gold Plus Award for Stroke Care. The American College of Radiology has accredited Mercy Fitzgerald as a Breast Imaging Center of Excellence and a Lung Cancer Screening Center. Mercy Fitzgerald is home to comprehensive heart and vascular care, cancer care, bariatrics, orthopedics and ambulatory services, advanced diagnostic and interventional radiology, diabetes education, an endoscopy center, a sleep center, orthopedics, wound care, behavioral health services, acute inpatient rehabilitation, physical and occupational therapy. In addition, affiliations with Penn Medicine Heart and Vascular Network and the Jefferson Neurosciences Network bring world-class cardiovascular and neurosurgical services, respectively, to the communities served by the hospital. Beyond the hospital walls, Mercy Fitzgerald’s healthcare team has continually demonstrated their commitment to the well-being of the communities we serve. A comprehensive community outreach program offers free education, screenings and health events throughout the year, including the popular and free Dine with the Docs series. In 2015, the hospital was selected as the exclusive healthcare partner of the Lansdowne Economic Development Corporation. Philadelphia, Pennsylvania –is the largest city in the Commonwealth of Pennsylvania, the fifth most-populous city in the United States, and the core of the sixth largest metropolitan area in the country. The area boasts wonderful family-oriented, residential communities. There is quick access to historic Philadelphia with fabulous cultural opportunities, theater, orchestra, museums and restaurants. Beaches, mountains, New York City and Washington, DC are also just a short drive away. Craving some fun in the fresh air and sunshine? Enjoy biking, fishing, hunting, horseback riding, golf and our many parks.